Don't forget about International Sushi Day! (SPOT.ph) You should never scrimp on the man of your life (we mean your dad, by the way), but it couldn't hurt to save a little. 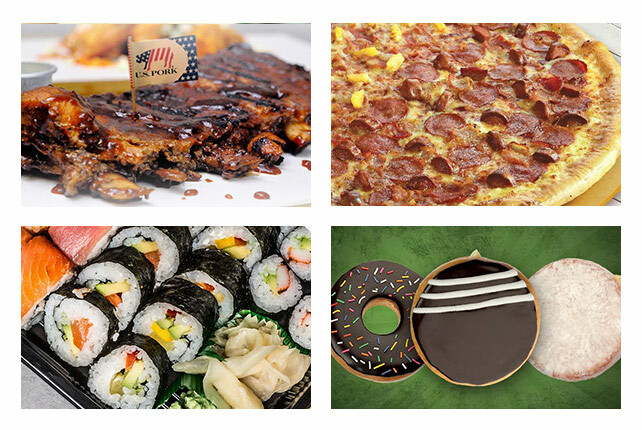 We found cool Father's Day deals, plus don't forget about the other important holiday—International Sushi Day. Hey, dad! 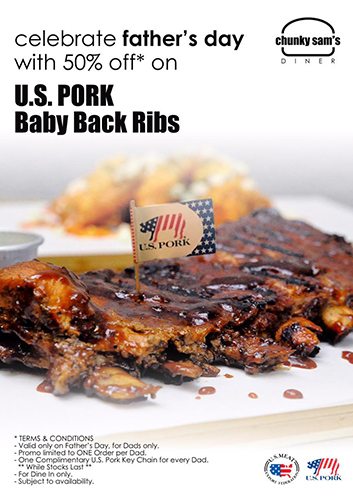 Swing by Chunky Sam on Sunday and get half price on their U.S. Pork Baby Back Ribs! 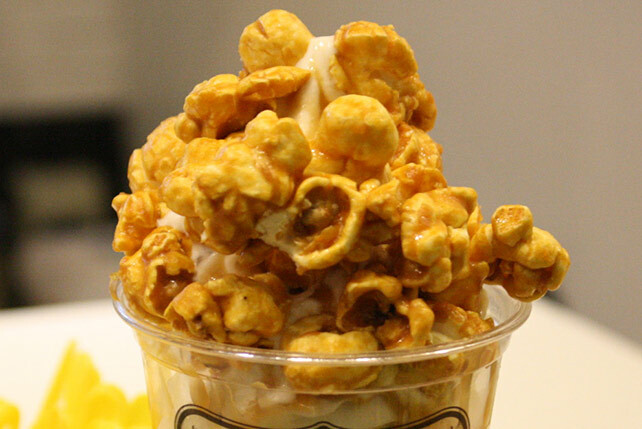 Chunky Sam's Diner is at Chimes Square, Congressional Avenue, Quezon City. Give dad a coffee break on Father's Day. 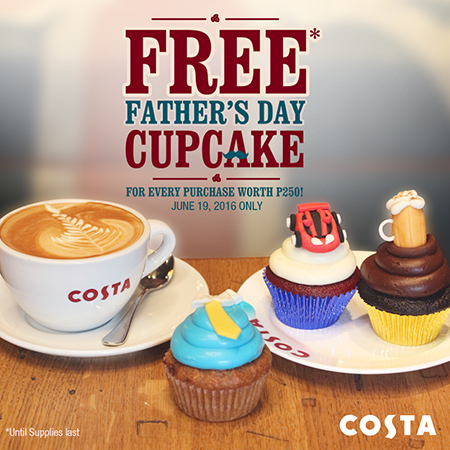 Every P250 purchase at Costa Coffee can get him a free cupcake! It's perfect with a cup of joe. Click here for a list of Costa Coffee branches. 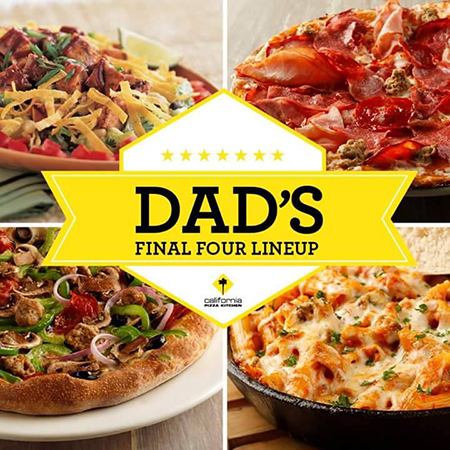 Choose four items from California Pizza Kitchen's special Father's Day-themed menu, and dad can get a P500 gift certificate to use on his next visit. This deal is available till June 19. Click here for a list of California Pizza Kitchen. It's finally Dunkin' Donut Day. 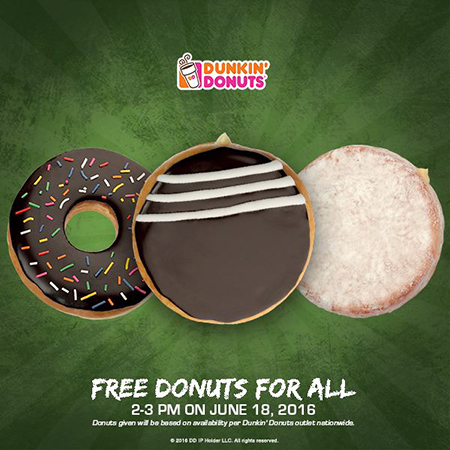 Hungry customers who drop by at a participating branch between 2 p.m. to 3 p.m. will get a free donut! If you miss it, you can still score their other deal: buy a dozen Classic Donuts and get a second dozen for half price! 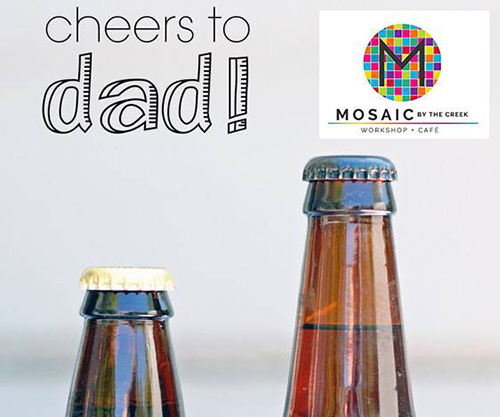 Throw your dad a feast at Mosaic By The Creek! A P700 minimum bill gets dad his beer of choice (Pale Pilsen or San Mig Light) on the house. It's available only on Sunday. Mosaic By The Creek is at 22 Major Dizon Street, Marikina City. Sushi day? How about Sushi Week? 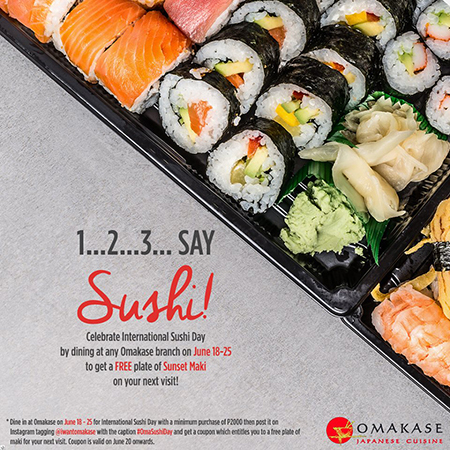 Omakase is celebrating International Sushi Day from June 18 to 25. According to the fine print, you need to spend a minimum of P2,000 and share the photo above on Instagram with the hashtag #OmaSushiDay to get the free Sunrise Maki. 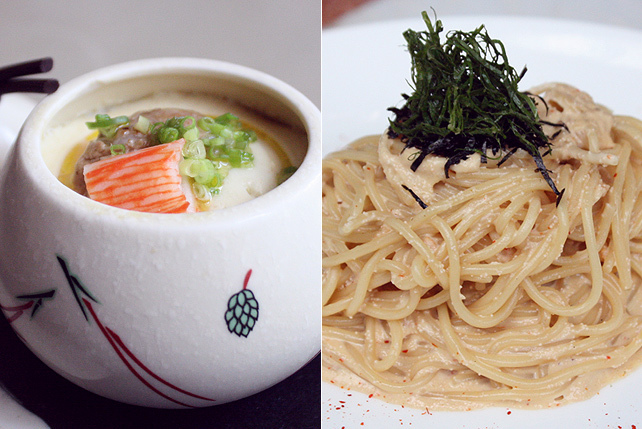 Click here for a list of Omakase branches. 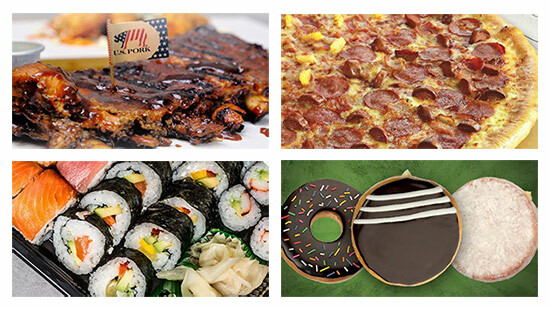 This weekend, you can get a 40% discount when you order any 12-inch pizza at Domino's. Nope, the Double Decker is not included in this deal! Click here for a list of Domino's Pizza branches. 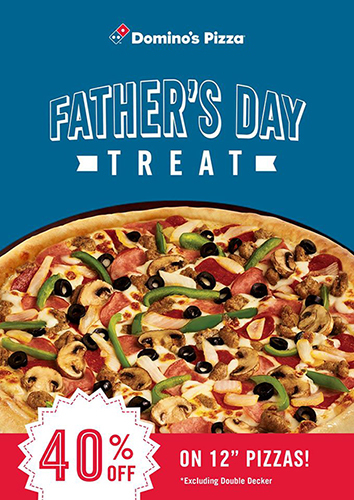 You have the chance to make dad feel extra special this weekend—without burning a hole through your bank account. 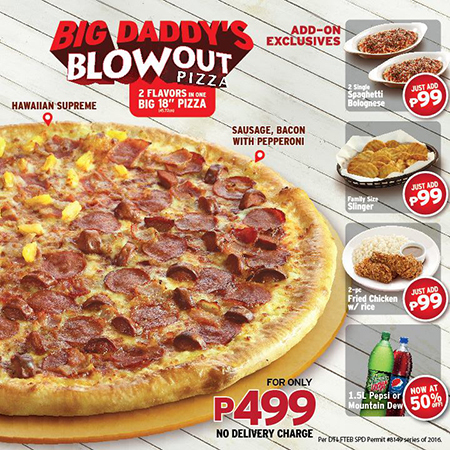 Get the two-flavor, 18-inch pie for only P499. Plus, get other dishes, like the potatoes, two plates of Spaghetti Bolognese, or two-piece chicken with rice, for P99 each. 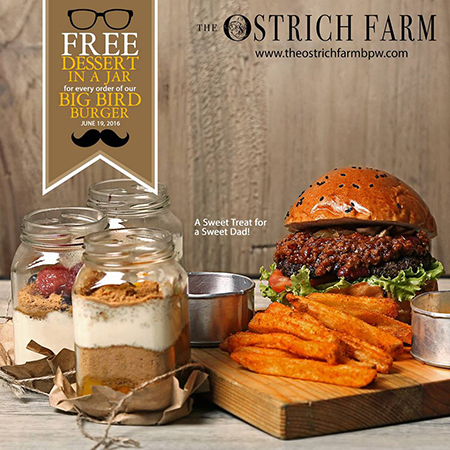 On June 19, order The Ostrich Farm's Big Bird Burger and get a free Dessert in a Jar for Dad. The Ostrich Farm is at Blue Bay Walk, Roxas Boulevard, Pasay City. This promo is available only in their stall at Pioneer St. Market (and not at their Kapitolyo restaurant). 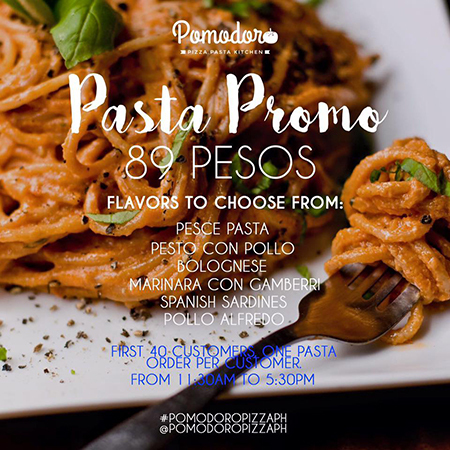 On June 21, Tuesday, Pomodoro will be offering pasta for only P89 for their first 40 customers, starting 11:30 a.m.